Kni-Co Mfg. Alaskan Jr. Camp Stove Standard Pkg. Home » Kni-Co Mfg. 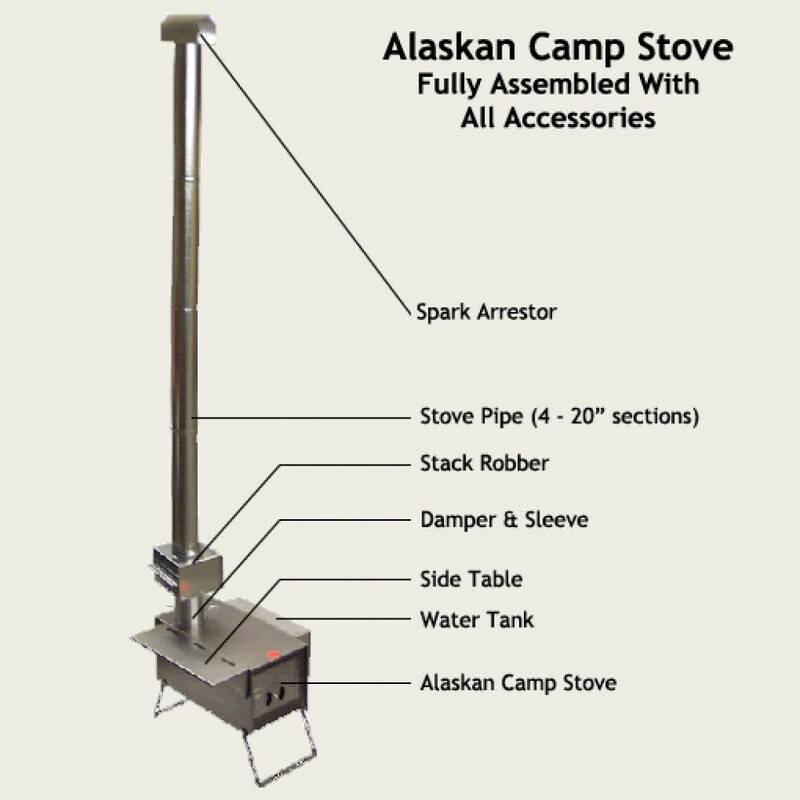 Alaskan Jr. Camp Stove Standard Pkg. 11.5" x 10.75" x 17.25"
The Alaskan Jr. Camp Stove will keep you warm and cozy wherever you are. Heat your home or use it in your camping wall tent to stay comfortable in any weather. 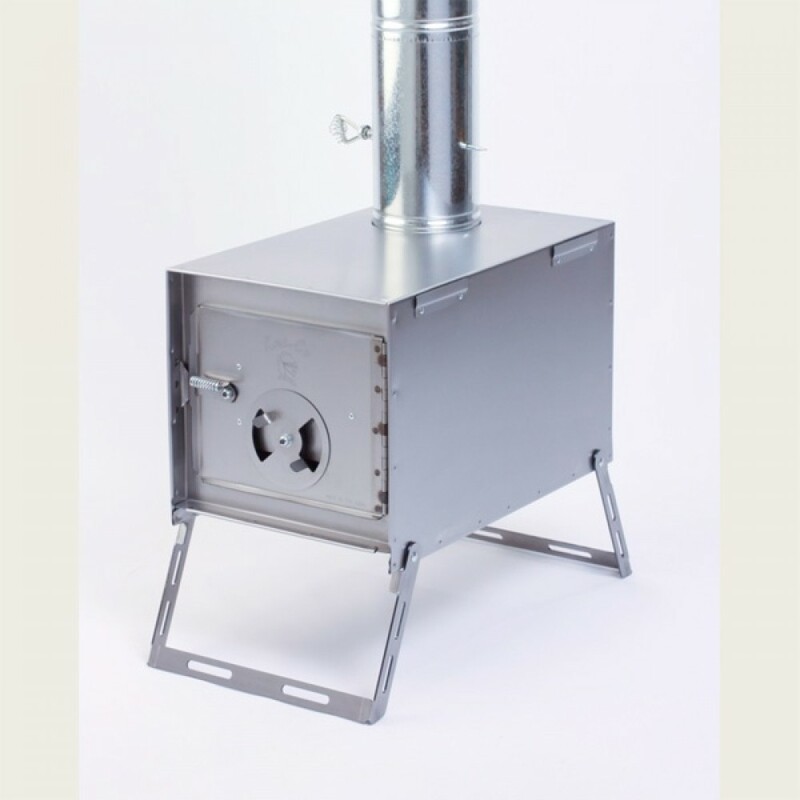 As rugged as our Alaskan stove, the Alaskan Junior has the same front as the Alaskan, differing only in its depth, which is 18 inches instead of 24, meaning it is lighter and burns a four inch shorter piece of wood. 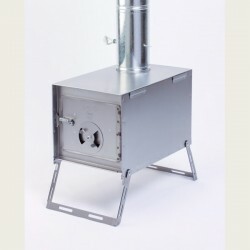 Rugged and large, each stove is handmade in the United States to insure top quality. It can be set up with attachments on two sides (tables and/or watertanks), tapered pipe, spark arrester, and a stack robber. The stove pipe for the Alaskan Jr. consists of four 16" section of tapered pipe. It is a little bit shorter than the pipe desgned for the Alaskan and Packer, this way it can fit inside the stove for storage. Storage Dimensions: 12" x 12" x 18"
Fire Box Size: 11 1/2" x 10 3/4" x 17.25"